Ever wondered what an average red footed tortoise lifespan is? If you are looking at getting one of these sociable reptiles, then make sure you read this article to find out! More and more people are becoming interested in pets other than cats and dogs. 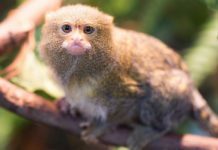 While animals that are a bit different can make great companions, information about their care is not as widely available as it is for more “conventional” pets. So, let’s jump in and find out a bit more about this fascinating creature and how long you can expect it to stick around! How Long Do Red Footed Tortoises Live? You might be surprised at the answer — red footed tortoises can live for 50 years or more! Turns out an average red footed tortoise lifespan is not that much shorter than ours! So, it might be wise to have a think about what you will be doing for the next 50 years. And if you will be able to provide a safe home to your tortoise friend for such a long time, then go for it! No doubt you are keen to give your tortoise the best life you can. This involves providing them with living conditions that mimic their natural environment – without the threat of being caught by a predator, of course. If you provide your tortoise with such conditions, then it is likely to live out a long and healthy life. On the other hand, tortoises kept in unnatural, unsuitable conditions tend to have shorter lifespans. If you still think you are up for the responsibility of looking after a tortoise for the next half a century, then make sure you check out our article on how to properly feed your red footed tortoise here. General care aside, there are some specific things that could affect the red footed tortoise lifespan. To begin with, you should make sure you have purchased your tortoise from a reputable breeder who cares for their tortoises properly. If possible, have a look at the conditions the tortoises are raised in, and ask to see some of their other tortoises. Check that they look healthy and alert. Red footed tortoises are susceptible to most health problems common to reptiles. More specifically, they tend to suffer from respiratory problems, metabolic bone disease (which leads to shell deformities or soft shells) and prolapses. Metabolic bone disease and prolapses can largely be prevented by feeding your tortoise a nutritionally complete diet. Refer to our article red footed tortoise diets for more information. If your tortoise is showing signs of being unwell, be sure to take him to the vet for a proper diagnosis. As a tortoise owner, it is important to look out for signs of respiratory problems. Sadly, tortoises captured from the wild often suffer with these problems on arrival to their destination. This is usually because they have not been treated in a humane way. So, the best option is to avoid purchasing a tortoise which has been caught this way, if possible. If your tortoise has been raised in captivity, and develops signs of respiratory problems, this could indicate that the tortoise’s housing is not appropriate. Often, if the tortoise lives in an enclosure that is too cold or damp, they will start to show signs of raspy or gurgled breathing. You may also see discharge from the nose and eyes. 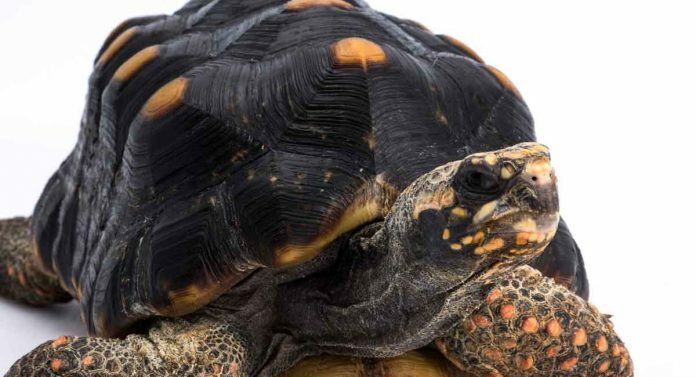 You will need to take your tortoise to the vet to get the proper treatment if you notice these symptoms. Sometimes your tortoise will need to be on a course of antibiotics for weeks, or even months, depending on the severity of the infection. Your vet may also advise you to reassess your tortoises’ living conditions and make some changes to prevent the infection from recurring. Other treatments, such as eyedrops and nose drops, may be needed as well. While your tortoise recovers, she may need to be moved to a warmer, drier area, perhaps even under heat and full-spectrum lighting. Be sure to ask your vet about how best to house your tortoise during this time. There is a saying: “Slow and steady wins the race.” That is certainly the case for red footed tortoises! They may not move fast, but they sure do have staying power! Bearing this in mind, it is important to be informed about how to take care of your tortoise properly, so it can enjoy a full and trouble-free life. Are you an owner of a tortoise? How old is your reptilian companion? And what are your top tips for keeping your tortoise happy and healthy? Let us know in the comments section below! Smithsonian’s National Zoo and Conservation Biology Institute, Red Footed Tortoise. Stewart, T. Red Footed Tortoise Care Sheet. Reptiles Magazine. Harkewicz, K. A. Three Common Ailments of Tortoises in Captivity. Reptiles Magazine. 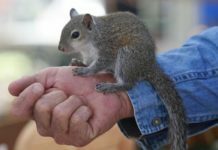 Can You Keep A Squirrel As A Pet In Your Home? 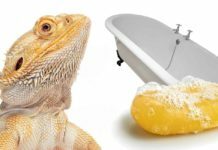 Bearded Dragon Bath Time – Do Bearded Dragons Need Baths?